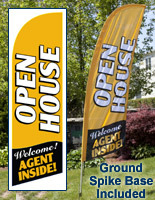 Need to drum up some excitement at a new open house? 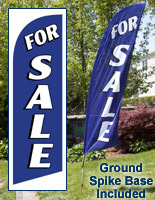 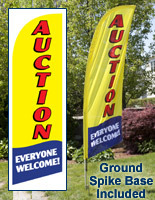 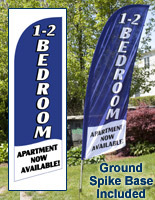 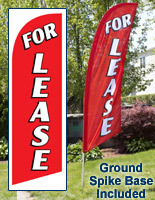 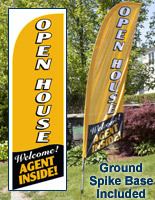 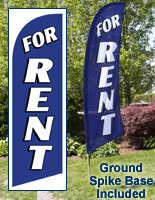 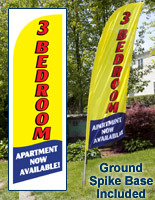 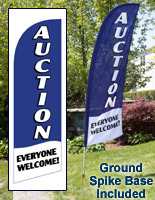 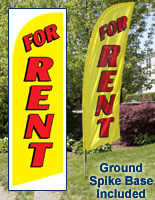 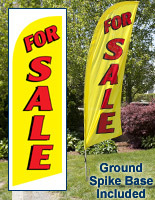 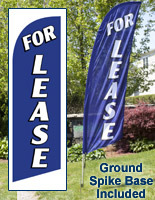 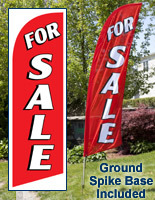 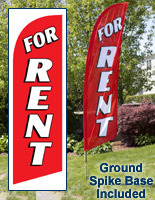 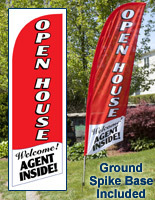 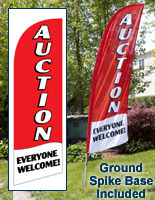 Plant one of our stock real estate feather flags out on the front lawn to advertise to potential buyers. 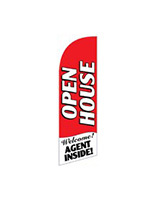 Realtors often use a-frame signs to show passersby a house is open, however from not-so-great a distance those types of signs can be hard to see on a long street. 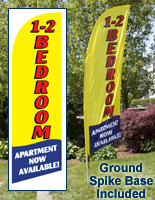 Compare that scenario to an 8 foot tall feather flag and the comparison becomes moot. 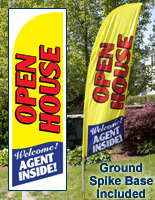 These outdoor fabric banners move and flutter with the wind, making them ideal marketing tools for the real estate professional. 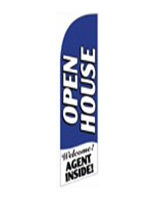 We offer stock imprinted messages such as "OPEN HOUSE", "FOR RENT", "FOR SALE", and many others designed to attract attention to the property at hand. 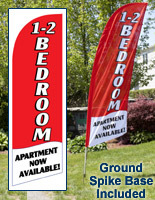 The fabric is printed on one side only, therefore the back side shows a reverse print. 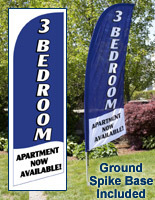 To assemble, simply thread the flag onto the aluminum pole and press the stake into the ground. 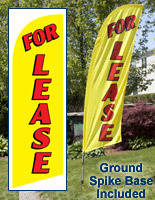 That's it, and it only takes one person to do it. 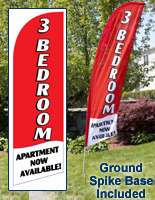 You can set up and take down the flag as you see fit, making it a lot easier to carry and transport when compared to a bulky a-frame sign. 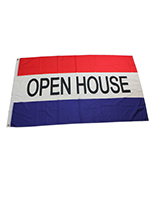 In addition to the large variety of stock messages available, these flags are also offered in numerous color options for the choosing.